The recent launch of CostsBudgIT – following a couple of other similar initiatives – shows that the use of IT to streamline the processes around legal costs is becoming an essential component of modern costs and legal practice. 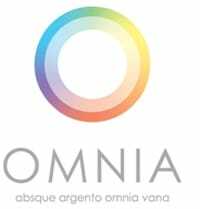 Omnia Legal Software was the first to recognize the need for this kind of product and service, launching the Omnia program in March 2013. Omnia is now a tried and tested web-based add-on product that not only produces, monitors and analyses Precedent H budgets but also produces bills of costs and N260s ….. and that’s without mentioning the internal client budgets it can produce as well as management intelligence reports that can prove invaluable to firms in this era of fierce competition and the increasing use of fixed costs. Designed by costs lawyer Sue Nash, Omnia has proved its worth and is constantly evolving to meet both new rules and procedures (the latest Precedent H for example) as well as clients’ needs. Although predominantly designed for use by firms of solicitors it is also in use by costs professionals enabling them to give a true ‘cradle to grave’ service to their professional and lay clients. It can even be used as a time recording system! It can work with any case or practice management system so is truly flexible and, perhaps most importantly, can save firms both time and money.